SACCOs in Kenya or the SACCO movement in Kenya is billed as the largest in Africa and among the top 10 globally. With over Ksh 230 billion in assets and a savings portfolio estimated at Ksh 190 billion, the SACCO movement in Kenya constitutes a significant proportion, about 20 per cent, of the country’s domestic savings. SACCOs in Kenya have thus become a vital component of Kenya’s economic and social development. With the sector controlling such huge resources and the savings, there were numerous cases of theft and misappropriation of funds and the government came up with the legislation to regulate the sector. The Sacco Societies Regulatory Authority (SASRA) is a Semi-Autonomous Government Agency under the Ministry of Cooperative, Development and Marketing. It is a creation of the Sacco Societies Act 2008 and was inaugurated in 2009 charged with the prime responsibility to licence and supervise deposit taking Sacco Societies in Kenya. 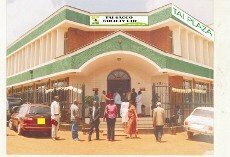 The Authority derives its powers to regulate the deposit taking Sacco Societies in Kenya from the Sacco Societies Act 2008 and the Regulations issued there under. d) Perform such other functions as are conferred on it by this Act or by any other written law. Here are some of the licenced saccos in Kenya. Click on any sacco to get more information and the products it offers. •	Thika District Teachers Sacco Society Ltd.
Got any more SACCOS in Kenya not listed? Contact us to include them here.